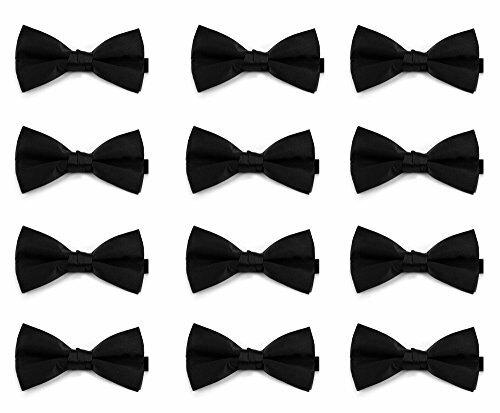 SIZE INFORMATION: bows ties are 4.75 inches long and 2.5 inches wide. PERFECT FOR PARTIES, weddings, birthdays, holiday parties or formal ocassions. 12 Pieces, 48 Pieces, 96 Pieces, 120 Pieces and 600 Pieces Pack available.